Ontario’s new Tele-Mental Health Service has launched on April 1st 2014 and all publicly funded health professionals who work with children and youth will now be able to refer to this service. This includes all professionals who work in Child and Youth Mental Health Agencies, School Boards, Hospital Out-Patient Programs, Family Health Teams, Health Access Centres, Friendship Centres, Youth Justice, Nursing Stations, and any other community based agencies that provide child and youth mental health services. The Tele-Mental Health Service uses existing videoconferencing technology to provide access to specialized mental health consultations (Tele-Psychiatry). This new service is a consultation based model with access to specialized mental health consults provided by three Hubs: The Hospital for Sick Children, The Children’s Hospital of Eastern Ontario (CHEO), and the Child and Parent Resource Institute. Six Coordination Agencies are responsible for coordinating access for six Service Areas. Service Areas, are dedicated to First Nation, Métis, Inuit and urban Aboriginal service providers. Weechi-it-te-win Family Services in Fort Frances. These agencies are also responsible for outreach, partnership development and organizational support. Weechi-it-te-win Family Services Inc., as the Tele-Mental Health Services Coordinating Agency, will facilitate access to specialized mental health consultations. Tele-Mental Health Services Coordinating Agencies do not provide direct mental health services to children and youth which continue to be the responsibility of the referring service provider. The referral process for Tele-Mental Health includes a “Service Readiness” review, which entails screening, assessment and prioritization of referrals. Arlene comes with background experience and education in pharmacy. She is also experienced in working with youth in a Children's Residence, as well several other administrative positions. 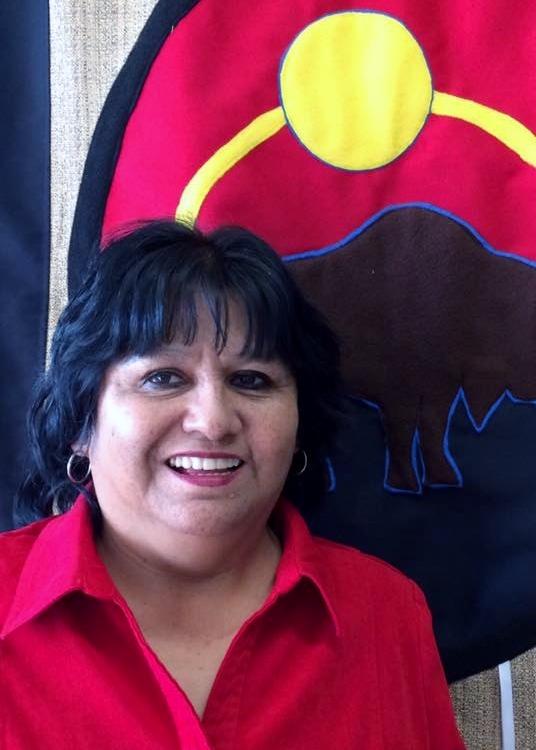 We are happy to Welcome Arlene Tucker to the Nanaandawewenin Team. Tele-Mental Health Services Referral is completed by the Community Service Provider and then faxed, or emailed to the Tele-Mental Health Services Coordinator. Ensure that all applicable forms are complete. Work in partnership (where appropriate) with the community service provider to review alternate local mental health supports, determine that the service will meet the needs of the child/youth, and that it is the most cost effective service available. Tele-Mental Health Coordinator will then collaborate with the Hospital for Sick Children to determine which Child Psychiatrist will be consulting with the client. The THMS Coordinator will send the offer of the consult appointment to the appropriate agency and Case Manager. Tele-Mental Health Services consult will take place 1-3 weeks later (approximate wait time) at the Ontario Telemedicine Network (OTN), or local access site that is closest to home as possible. The coordinator will send consult note to the case manager, and then follow-up as appropriate to review consultation recommendations and to determine if further consultation is required.